In addition to writing some military-themed poetry of my own (here and there), I've recently begun buying and borrowing whole collections of the stuff. The practice is similar, I suppose, to my purchase of comic books. Comics are short, fun to read, but often wrestle provocatively with matters of mythologies, both personal and political. Consuming poetry is similarly easy and quick, but it sticks to your ribs. Poetry is also forgiving. I'm not an expert reader, and you don't have to be, either. To borrow part of a quote from Justice Learned Hand, poetry is kind of like obscenity—I know it when I see it. I like poetry that is accessible, insightful, sometimes humorous in tone. I like to learn something from a poem: new ways of looking at things or nature or people, and new words and images to describe them all. 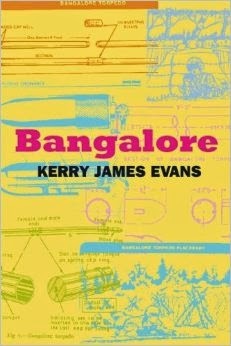 I discovered Kerry James Evans' 2013 collection of poetry, "Bangalore," via David Abrams' blog "The Quivering Pen." Abrams is an Army veteran himself, and author of the 2012 satirical novel "Fobbit." Evans' writing is full of junkyards, abusive parents, and poverty. In addition to his academic credentials, Evans was a National Guard soldier for six years, during which he trained as a combat engineer and deployed stateside during Operation Noble Eagle. That he was a citizen-soldier who did not "go to war" overseas, while friends and family did, makes for a rich and rocky emotional landscape for Evans to explore. It also gives him a boot in both camps, as both citizen and soldier. of Hummers up to the doors in mud. a Missouri forest to an Afghanistan cave. I recognize myself in that passage, and many of my buddies as well. and I've walked through such a minefield. failing to mention the use of a popping a collar. It keeps the sun off my neck, I tell my beer. But now I'm explaining fashion/style? to the bartender, who is the son of a veteran. by a maple leaf. He's trying to call from Kosovo. in the Balkans, waiting for me to pick up. He's leaving my name to the wind. There are, obviously, a lot of moving parts to such a poem. To Evans' credit, he successfully wires everything together just right, before he lights the fuze. Just like the Army taught him. For a Q&A style interview with Kerry James Evans, check out this New York Times arts blog post. More of his poetry can be read at Narrative magazine here (free log-in may be required). The Red Bull Rising blogodometer recently turned over another 100,000 views, and, while I don't normally celebrate such arbitrary milestones, it seems like a good opportunity to take a breather—and to reflect on the current state of the greater mil-blogosphere. Here's the quick historical context: Early in the wars in Iraq and Afghanistan, "war-blogs" (later "mil-blogs") started as an exercise in citizen journalism for people in uniform, enabled by the popular technology of the time. Mil-blogs offered readers first-person perspectives on life in the military, whether on the front lines or the home front. As the trend matured, many blogs were collected into anthologies or reworked into books. After troops returned or retired from service, many blogs evolved into commentary on current events. Many have argued that the popularity of blogging—and mil-blogging in particular—has declined in recent years. There is, admittedly, some evidence supporting such conclusions. For example, the last official Milblogging.com conference of bloggers was conducted in 2012, although some early practitioners still gather for informal reunions. Milblogging.com is owned by Military.com, which itself is part of Monster.com. Another Military.com holding, SpouseBUZZ, appears to be thriving in its service to military families. More recently, the Milblogging.com index of military blogs has gone silent, and the founder's Twitter feed is similarly quiet. Finally, as noted earlier this month, Doonesbury's "The Sandbox" mil-blog digest has gone into "archive" status, and is no longer updating with new content. Perhaps the reports of mil-blogging's demise are not unexaggerated? [I]n the years since [Colby] Buzzell’s My War and [Matt] Gallagher’s Kaboom galvanized Internet reading audiences the blog format’s luster has fizzled a bit and the Internet has changed structurally. In the face of competition from faster-moving, quicker-hitting social media forms such as Twitter and Facebook, it’s hard not for blogs to smell a little musty. As big money has upped the standards for web-based mass media and created plenty of outlets for the most distinctive voices, personal websites can seem quaint or a little bland. Still, they persist, reflecting and shaping popular opinion in a quieter, but still insistent vein. 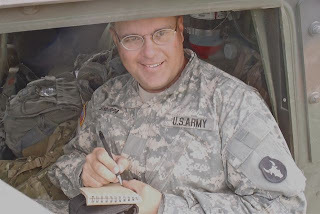 As chronicled elsewhere, I started writing blog when I was preparing myself and my family for a deployment to Afghanistan. Part of my job in uniform involved fluency in blogging, social media, and other technological tools, and I decided to learn by doing. I started writing the Red Bull Rising blog in December 2009, but under a pseudonym, in order to avoid confusing my day job and my personal time. In other words, I only started mil-blogging long after mil-blogging was cool. It was already past its peak. But it's not dead yet. At writing and technology conferences, I've argued that "blogging" isn't necessarily a form of writing, any more than "newspapering." Rather, publishing a regular, first-person dispatch—call it an "online journal" if you will—continues to be a vital form of journalism, whether communicated via newsprint, Blogger, Facebook, Twitter, or even Pinterest. With other practitioners, I've taken to referring to the enterprise as "on-line journaling," with some success. Last year, Time magazine discontinued Mark Thompson's "Battleland," but the Washington Post recently launched "The Checkpoint." And the New York Times' "At War" blog continues to publish, despite the fact that Deputy National Editor James Dau has moved on to additional duties. There's also been a recent boomlet of blogs focusing on military culture, policy, and analysis, often featuring a set of contributors. At Foreign Policy magazine, Tom Ricks' long-established "The Best Defense" blog is one of the more inclusive in terms of guest-editorial content, although the magazine's addition of a paywall seems to have decreased some of the utility of the free-wheeling comments section. By, through, and with the younger turks, however, are venues such as "War on the Rocks" and "War Council Blog." A couple of others, "The Bridge" and "Point of Decision," notably take advantage of the Medium.com platform and format. All are blogs of curated and contributed editorial content, what Wikipedia labels as "social journalism." Whatever you call it, and whatever your interest—politics, policy, literature, or the latest news—it seems that the practice of on-line journaling about the military is alive and well. The mil-blog is dead! Long live the mil-blog! And, most of all, keep reading! The Richmond, Ky.-based non-profit Military Experience & the Arts (M.E.A.) recently announced plans for a May 14-17, 2015 symposium of military veterans, advocates, arts practitioners, and others interested in exploring healing, history, and communication through the expressive arts. The event will take place on the campus of Cameron University, Lawton, Okla. The organization's inaugural 3-day event, conducted July 2012 in Kentucky, comprised workshops, demonstrations, and performances by an engaged and diverse group of veterans, advocates, and artists. 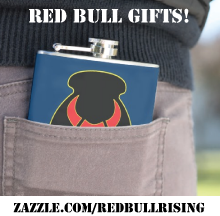 Past "Red Bull Rising" blog coverage of the MEA organization and its related literary journals is collected here. A blog post reflecting on the 2012 event is here. The MEA is currently seeking corporate and organizational sponsors for the 2015 event, as well as potential workshop presenters and facilitators. The group is also seeking volunteers to assist with activities at the event. Starting Aug. 15, military veterans and spouses can register for a non-refundable $20 fee. Information about meals, lodging, and other accommodations is still pending. In related news, the MEA has recently reopened submissions to its family of literary journals. Writers are encouraged to submit original fiction, non-fiction, poetry, and visual art through the organization's new Submittable portal. Simultaneous and previously published submissions are not accepted. One caveat: Writers considering submission are strongly encouraged to review the organization's copyright and privacy statements. Because of previous licensing relationship, for example, submissions published in The Journal of Military Experience remain the intellectual property of Eastern Kentucky University following publication. 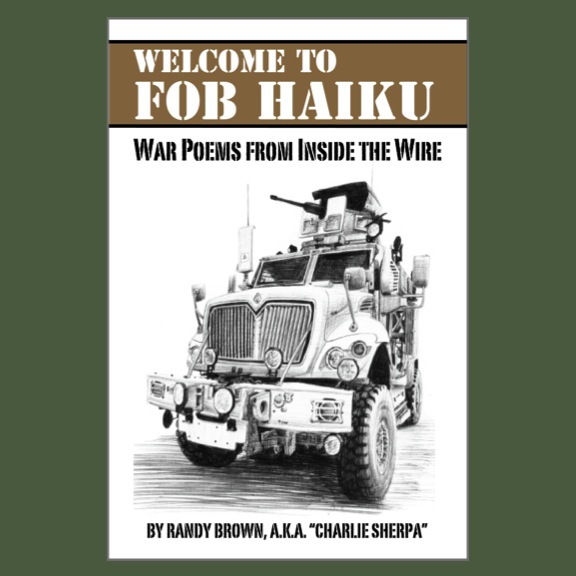 A Madison, Wis.-based group of writers is building nationwide bridges between Vietnam War-era service members and their younger counterparts, while also exploring in poetry and prose topics related to war and peace, military service, healing, and homecoming. The Deadly Writers Patrol (D.W.P.) published its first literary magazine in 2006. In 2013, its ninth issue presented works by veterans of the wars in Iraq and Afghanistan, as well as those in Vietnam. 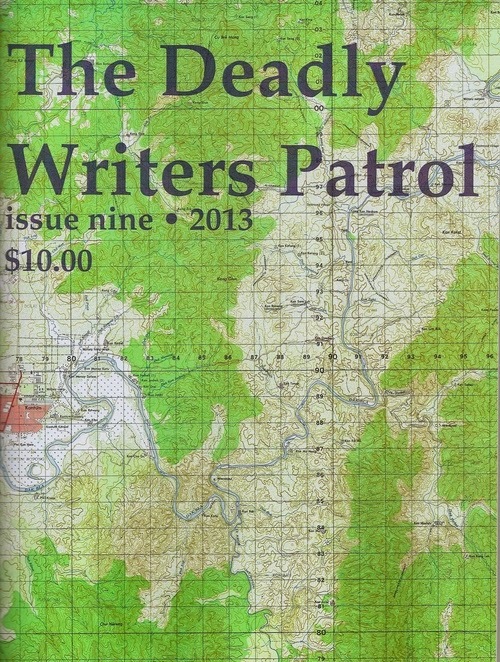 (Back issues of Deadly Writers Patrol Magazine can be purchased for varying amounts ranging from $5 to $15 here.) The 2013 issue is 70 pages in length, and features the work of 15 military veterans and family members. Editors are currently seeking submissions for the next issue. Deadline is Sept. 1, 2014. 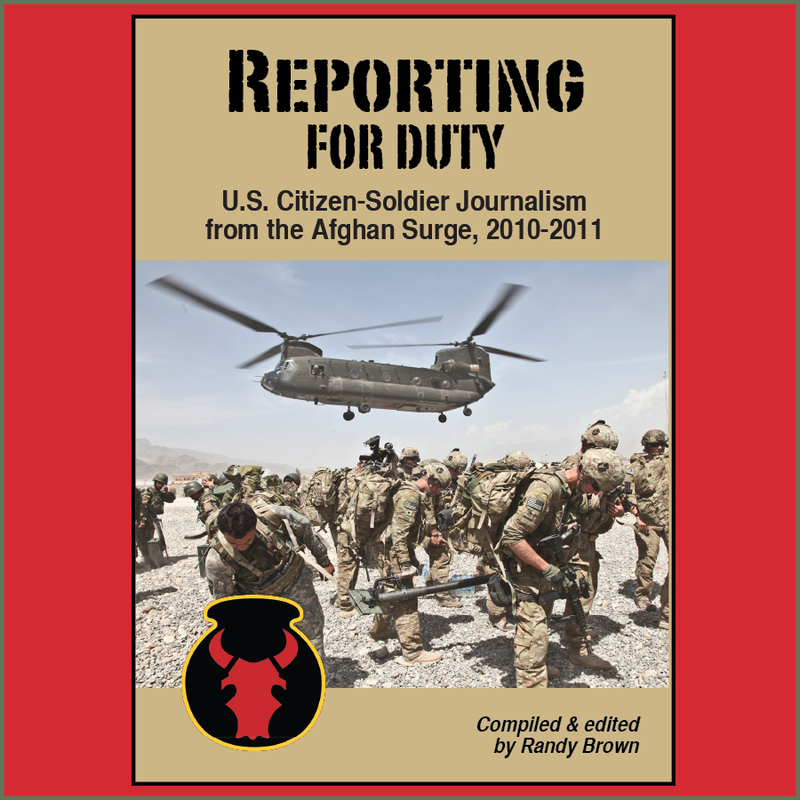 "The Deadly Writers Patrol (DWP) Magazine always seeks writing by Vietnam vets, but we're also interested in engaging veterans and others affected by the wars in Iraq and Afghanistan," says Doug Bradley, a member of the group. Bradley is also author of the 2012 memoir "DEROS Vietnam." "Their inclusion reaffirms a core belief of DWP: That writing can be a mirror reflecting the deepest corners of our spirits and psyches; that our writing can express the reality of suffering, and explore the possibility of healing. It can help us resolve problems and help achieve a deeper understanding of our common humanity. It can also bring us face to face with the parts of life that always will remain a mystery." The magazine's editors welcome veterans' contributions of poetry, fiction, and more. Submissions by non-veterans should regard in some manner a theme of war or its effects. In addition to short stories and poems, past submissions have included excerpts from novels and memoirs, as well as personal essays.